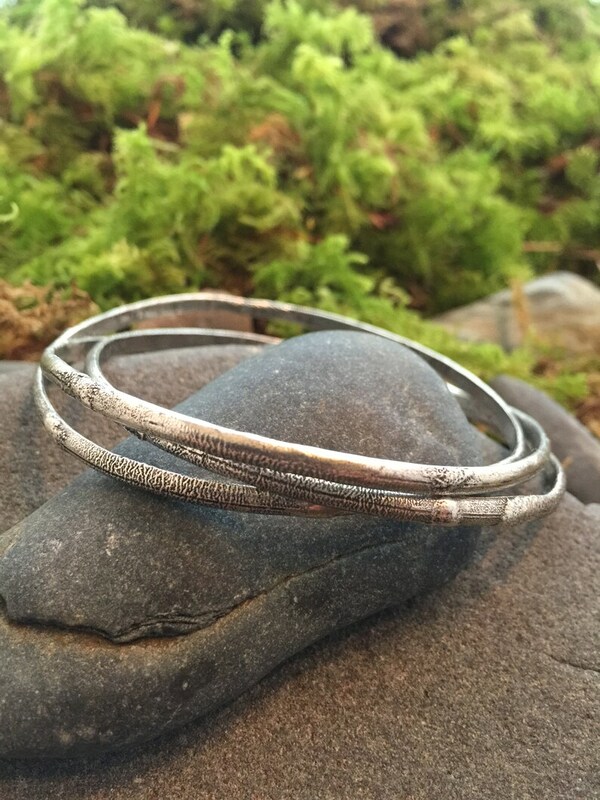 Reticulated sterling silver interconnected rolling bangle. Darkened finish. Available in 4 sizes. Size 2 is the most common size that I sell.